I’m back home in California after nine days in New York City at the Main Street Vegan Academy. I’m still recovering from the fatigue, but it was so worth it. Victoria Moran runs the Academy—and if you aren’t familiar with her, please check out her books and podcast; she is an utter delight—and it’s been turning out Vegan Lifestyle Coach & Educators (VLCEs) since 2012 (so, yes, I am now a certified VLCE). The class is six days long and its go-go-go all the way until the end. I booked an extra day in NYC after the class so I could see the sights, but honestly—I stayed in bed all day until I got hungry enough to drag myself out to dinner (the simply divine Seasoned Vegan, just down from my hotel). 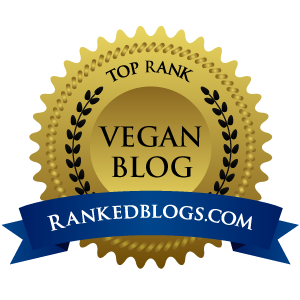 During my time at the MSVA, I had roughly sixteen lectures by various luminaries in the vegan world on many different topics including vegan principles, history, nutrition, fashion, communication, coaching, business, and more. Every MSVA session is a little different depending on speaker availability, but in my session we got to hear from Mariann Sullivan of Our Hen House , Joshua Katcher of Brave Gentleman, Michael Suchman and Ethan Ciment i.e. The VeganMos, Suzy Welch of CNBC, Chef Fran Costigan, author JL Fields, and more, including Victoria herself. We ate out most days at amazing vegan restaurants (or restaurants with a large vegan selection) like MANA and Caravan of Dreams. We even had a field trip day where we traveled to many vegan eateries and stores across the city, like The Fanciful Fox and MooShoes. heart so very happy since my return. The vibe at the Academy was that of community, love and support. It was almost like finding a new home—a home in the heart where kindness and encouragement dwelled, and hope reigned supreme — little cornball, I know; but it’s how I feel, corny or not. But my time in NYC was that inspirational, that powerful — so dynamic and lively in fact that once I returned home, I felt almost sad eating my morning meal in relative quiet—as opposed to the cheery hubbub of mornings at the Academy. If you have any interest in a forging a career as a vegan coach—or just finding your own path in the world of veganism (you don’t have to want to be vegan coach to attend, just a dietary vegan with a sincere interest in learning more about the lifestyle, history, principles, and ethics of veganism), please don’t hesitate to learn more about the MSVA program. There are five sessions a year, and honestly, I wish I could go again! You will make new friends, have marvelous vegan adventures, and learn more about the topic of veganism than you ever hoped or thought possible. Robyn Leigh worked in a macrobiotic kitchen for several years in Palo Alto, California, before moving into the wine and beer department at the Berkeley Natural Grocer Company in El Cerrito. She loved the job, but was forced to leave in 2016 due to cancer. She now blogs about vegan food in the San Francisco Bay Area, and continues to study macrobiotics, as well as Japanese cuisine and culture. She lives in Berkeley with her husband and four dogs, and attended the MSVA in November 2018. You can read her ramblings at www.tofubunny.net and find her on both Instagram and Twitter @silkentofubunny. « MSV Podcast January 23, 2019: Younger in 2019?